The beams were built inside a female mould. 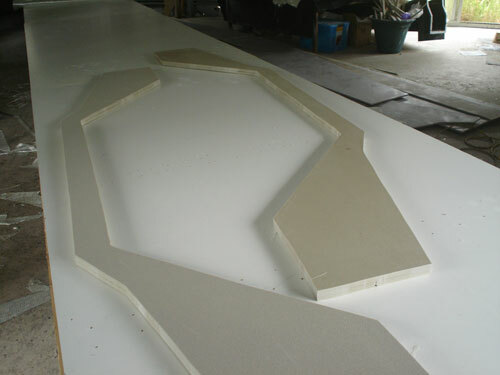 The original mould was plywood but because we will need it to produce more than the four beams for this boat a fibreglass mould was constructed. For most people a plywood mould will be OK. 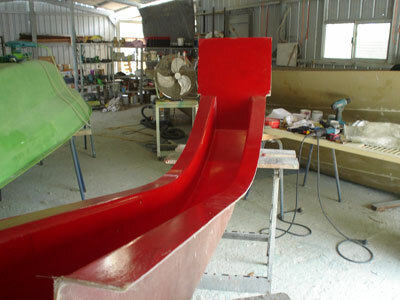 The plywood mould was painted with Jotun imperite to give a shiny smooth finish. 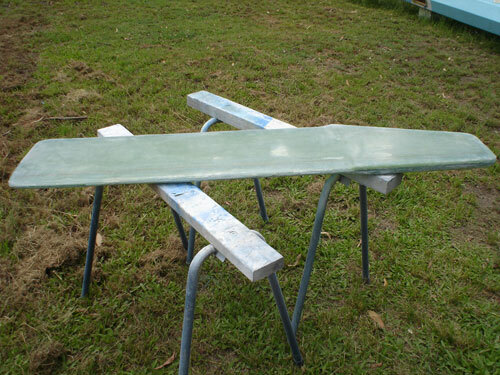 The mould was painted with tooling gelcoat and layers of glass were added. 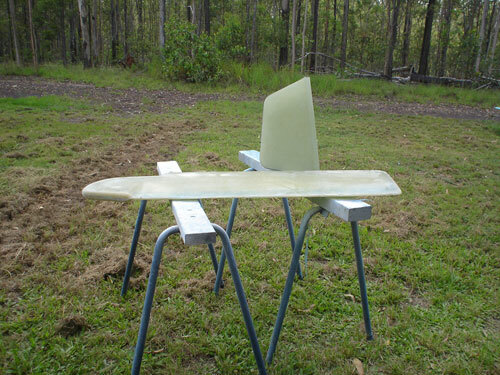 The finished mould was waxed and the required number of glass layers applied. 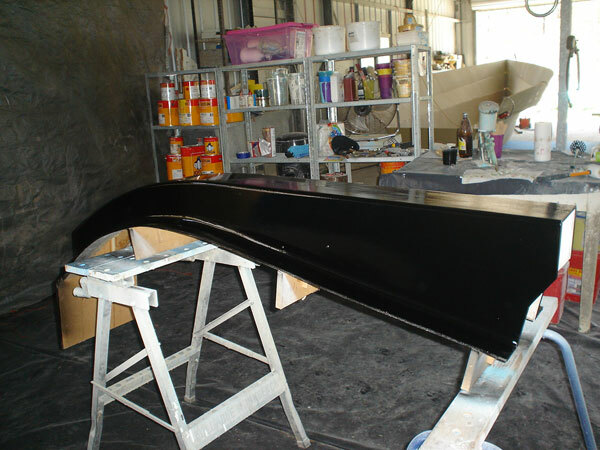 We use unwaxed resin so the job can be spread over a few days. 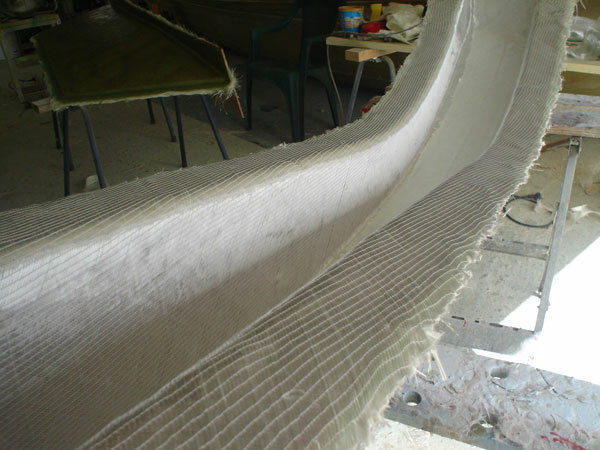 By not layering more than 1200 grams of glass at a time we can reduce the shinkage. 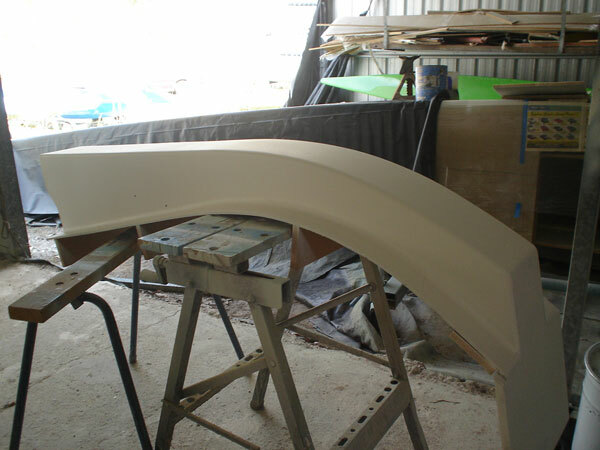 Beam painted with Penguard epoxy high build primer.